From 31 March 2019, the direct service will operate four times per week to Nadi, the country’s main gateway, with a Boeing 737 aircraft, offering a checked baggage allowance, inflight entertainment and food and drinks all included as part of the fare, and the option to fly or upgrade to Business class. “Fiji continues to be an incredibly popular holiday destination for Australian families, couples and adventure and luxury travellers, with a number of new luxury properties having opened up on the islands in recent years,” said Ms Webster. “We have built flexibility into our network to respond to growing demand where we see it. 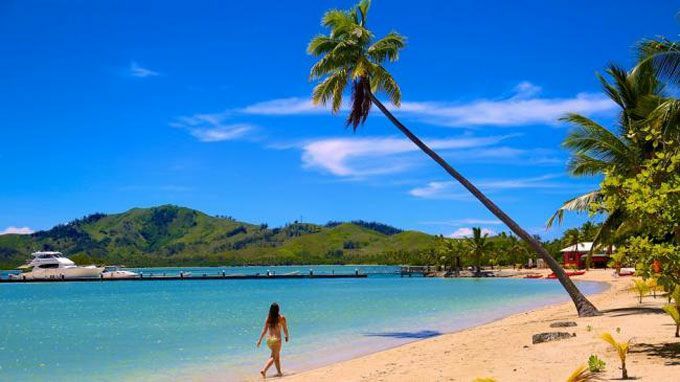 In this case, it’s a return to Fiji after almost 20 years, a short four-hour hop from Sydney, helping extend the summer for Australians year-round. Qantas will also today add its code to Jetstar’s flights between Sydney and Nadi, for travel from 1 February 2019. Qantas customers travelling on the Jetstar codeshare service will enjoy additional benefits, including the opportunity for Qantas Frequent Flyers to earn points and status credits and a complimentary meal. Customers can book Qantas’ new Fiji service from today at qantas.com or through travel agents. To celebrate the launch, Qantas is offering sale fares starting from $269 one-way, available 21 to 23 January 2019, for travel from 31 March 2019.